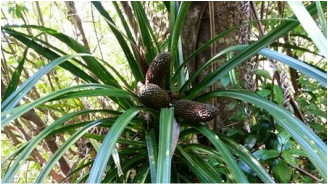 In April 2016 the Auckland Botanic Gardens hosted the second New Zealand Epiphyte Workshop with support from the Environmental Research Institute (University of Waikato). Three days of talks, walks and networking were enjoyed by 55 people with backgrounds in a range of fields including horticulture, research, government and consultancy. Click here to see the proceedings booklet. 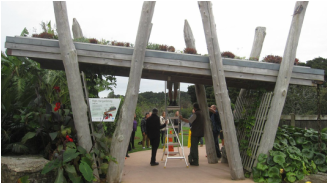 The Auckland Botanic Gardens provides an inspiring setting for working with canopy plants. Photo: R. Street. 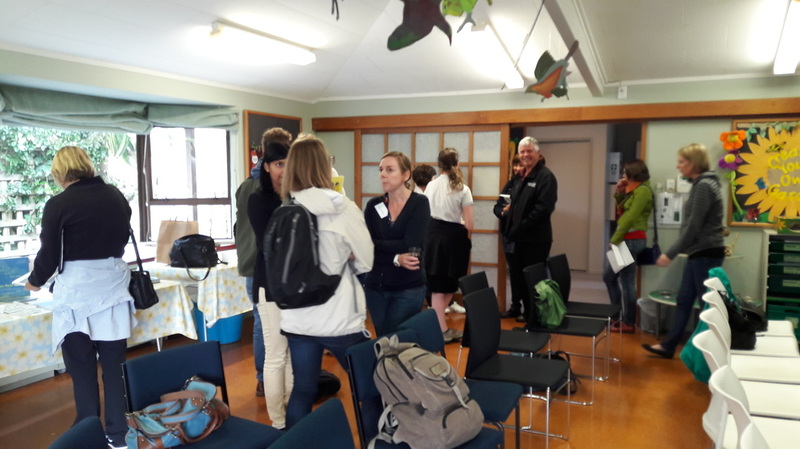 The workshop was opened with a summary of New Zealand's current knowledge, questions and engagement in canopy flora. 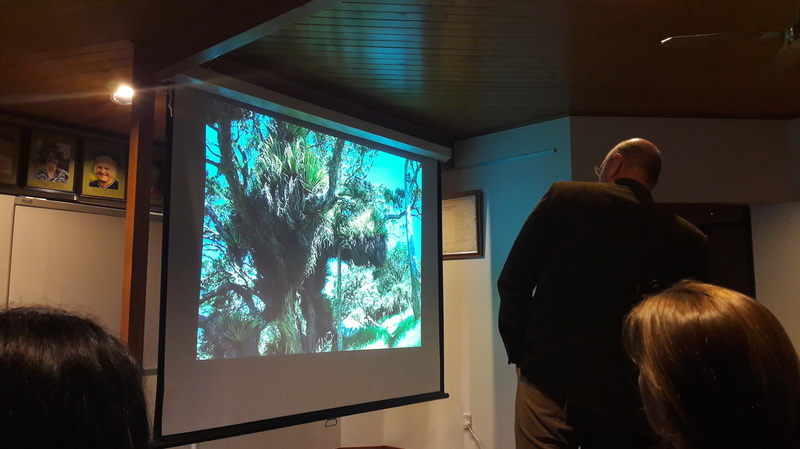 The delegates were then treated to an interesting array of research presentations with topics that ranged from local threatened species and ecosystems to marine epiphytes and the ferns of Sri Lanka. 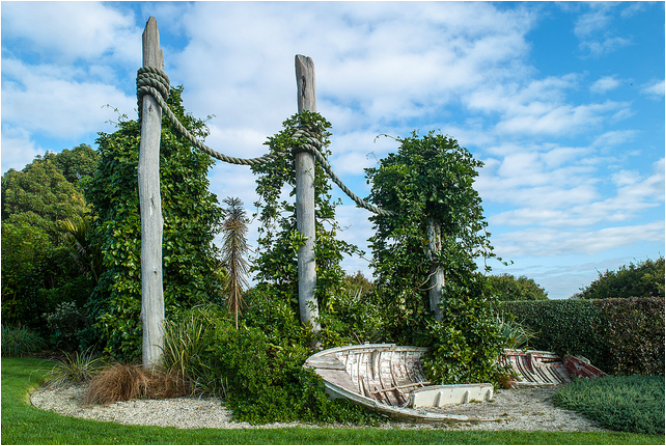 The epiphytes and vines of Auckland Botanic Gardens provide lots of accessible learning opportunities that were enjoyed by workshop attendees. Photos: C. Weston, C. Kirby. Day two brought another fascinating mix of restoration ecology, landscaping, out-of-the-box thinking and group discussion. 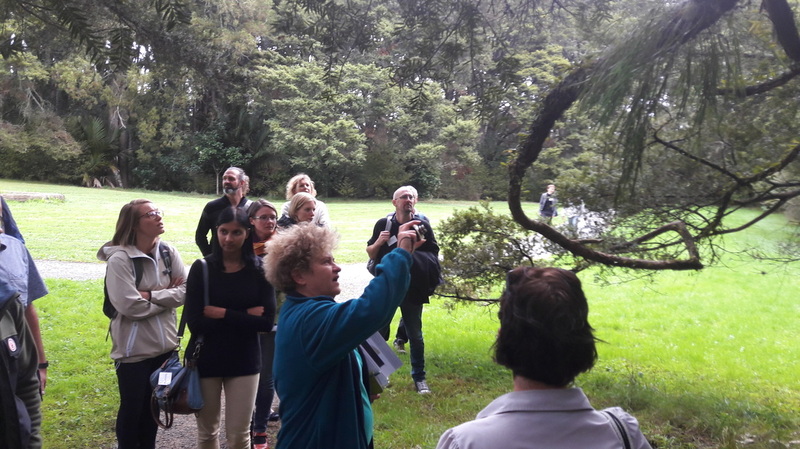 Practical solutions for the proposed cloud tree at Auckland Botanic Gardens were discussed alongside research priorities and opportunities presented by collaboration. A summary of these discussions can be found here. 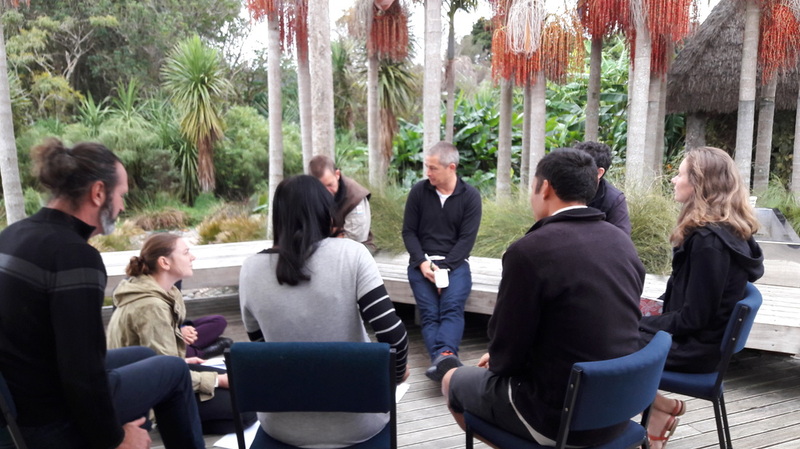 Hands-on learning was provided by afternoon tutorials on green roofs and species ID with passionate staff from the Auckland Botanic Gardens and Environmental Research Institute. Day two closed with an evening keynote presentation by the acclaimed architect Andrew Patterson. Andrew is the instigator of the proposed epiphyte-laden Cloud Tree at Auckland Botanic Gardens. A full room of workshop delegates and garden supporters were intrigued by the interesting challenges and exciting opportunities presented by this imaginative project. A lively discussion followed the presentation with many interesting ideas and potential solutions proposed. Clockwise from top-left: Delegates enjoyed lots of networking during the workshop. Discussing research and collaboration opportunities. Exploring one of the garden's green roofs during a tutorial. Architect Andrew Patterson shares his inspiration for the planned Cloud Tree. Photos: C. Kirby, L. Nicholson. 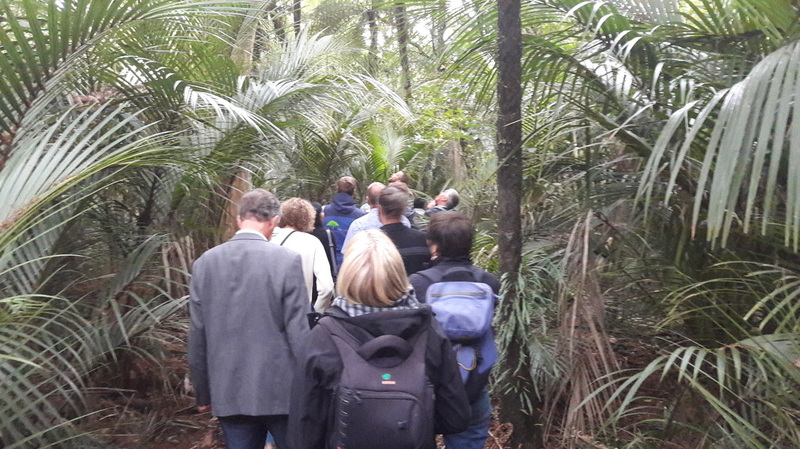 The 2016 workshop was closed by a field trip to Hunua Regional Park where many species of epiphytes and vines were observed and identified in their natural habitat. 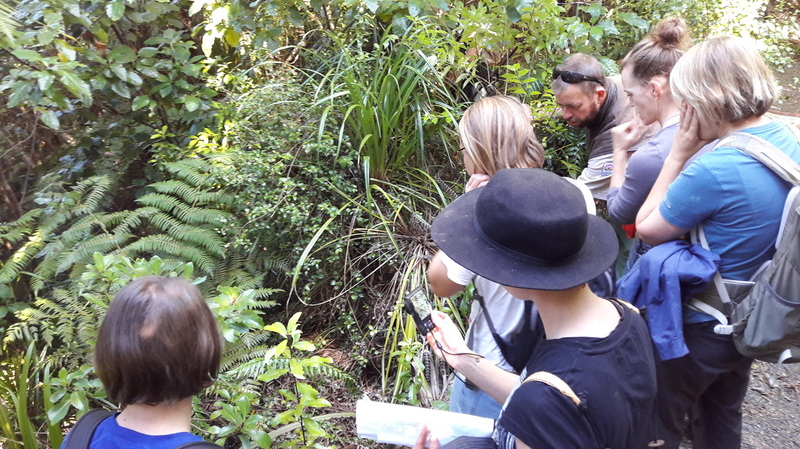 Highlights of this walk included abundant Astelia nests, fruiting Freycinetia banksii, shrub epiphytes Pittosporum cornifolium and Brachglottis kirkii var. kirkii, diverse fern and climber communities, lots of local knowledge from Ranger Scott and great weather. 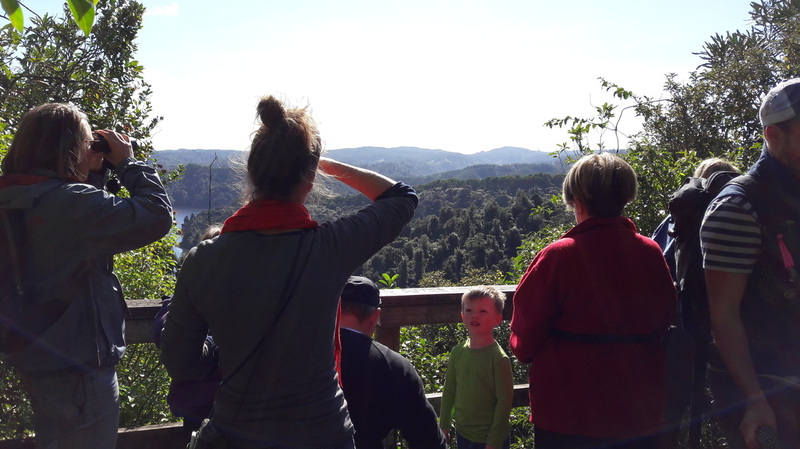 Hunua Regional Park provides many opportunities to see epiphytes and vines in their natural habitat. Clockwise from top-left: Attendees investigate a fallen epiphyte community. Excellent weather and views! Freycinetia banksii in fruit; a sign of good pest control. The threatened shrub epiphyte Brachglottis kirkii var. kirkii growing on the ground. Photos: C. Kirby, C. Weston. Thanks to the organising team, sponsors and attendees for making this an exciting and intriguing event. Please check out the workshop presentations and discussion summary. If you are interested in collaborating on canopy flora research please email nzepiphytenetwork@gmail.com.